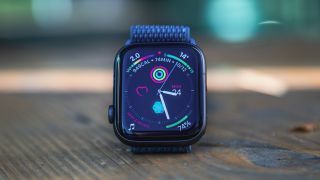 Back when the Apple Watch 4 was announced in September, the company put a big focus on its new ECG (electrocardiogram) feature as one of the main selling points, but so far you haven't been able to access it. That may be about to change. We know that watchOS 5.1.2 is in testing with beta users, but it's not currently clear when the official update will be pushed out by Apple. The feature allows the watch to perform an electrocardiogram that detects the rhythm and electrical activity of your heart. The results of this can then be used to identify heart problems. Apple's intention here is that consumers will use it and if they find odd activity they can head to their doctor for more intensive testing. Apple has yet to offer any clarity on when the feature will be available in other markets, but hopefully we'll see it roll out to other places around the world at some point in 2019. Just don't expect it to land on your Apple Watch 4 by the end of 2018 if you live outside the US.